Pretty, boy-crazy 5th grader, Myung-Ee, doesn’t really want to waste her time on class president, Yu-Da Lee, who doesn’t meet any of her requirements for eye candy… (Too short! Too young!) But when Yu-Da disappears one day, no one except Myung-Ee seems to remember him. Teased about her “invisible boyfriend,” Myung-Ee transfers high schools five years later in search of greener pastures (read: prettier boys). Only she finds herself face-to-face with some of the most beautiful boys she’s ever seen…and Yu-Da, now a class secretary, who doesn’t remember anything about her! 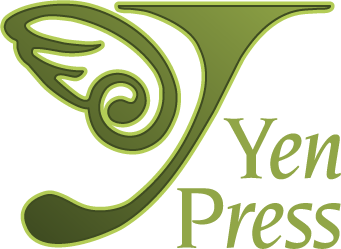 Startled by this new development, Myung-Ee’s positively floored when she learns that she and Yu-Da are “Earth rabbits” being hunted by a clan of shape-shifting foxes, some of whom comprise the very student council that surrounds Yu-Da! Will Myung-Ee be able to save Yu-Da from these foxes in sheep’s clothing? 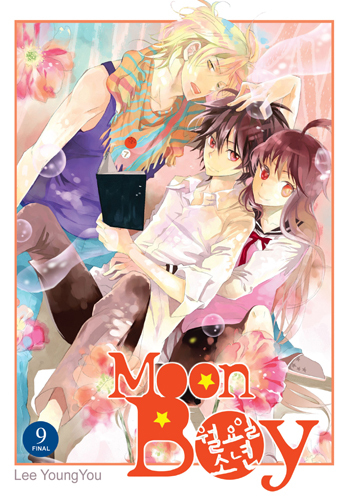 Moon Boy © Lee YoungYou / Haksan Publishing Co., Ltd.
Apart from the fact that the color of her eyes turn red when the moon rises, Myung-Ee is your average, albeit boy crazy fifth grader. After picking a fight with her classmate Yu-Da Lee, she discovers a startling secret: the two of them are ”earth rabbits” being hunted by the ”fox tribe” of the moon! Five years pass and Myung-Ee transfers to a new school in search of pretty boys. There, she unexpectedly reunites with Yu-Da. The problem is, he mysteriously doesn’t remember a thing about her or their shared past at all! For the first time, Myung-Ee falls into a real fight against the Fox Tribe. She is determined to do whatever she can to protect Yu-Da from all the hungry foxes, but instead she encounters the “Black” Yu-Da! How can this be? Is Yu-Da’s memory back, or was he just faking? Myung-Ee confronts the student council about their intentions toward Yu-Da, despite further proof of his unusually cruel and malicious dark side. As the school festival rolls around, the gender-bending fun courtesy of Master Yang is cut short when Yu-Da is kidnapped and Myung-Ee and Sa-Eun find themselves on the same side and face-to-face with members of the Soon-La Army…on the attack! Having survived the battle with the Soon-La renegades, Myung-Ee can’t remember anything about the fight! In her quest to discover what really happened, she finds herself crossing paths with Sa-Eun more than once. Though he stays silent about the battle, he lets slip a shocking secret about himself to his rabbit adversary! Meanwhile, Yu-Da has returned safely with the help of two mysterious friends…who seem intent to wreak havoc on both the Rabbit and Fox tribes! Is the Black Rabbit slipping away from Myung-Ee for good? The Black Rabbit disappears again, this time leaving behind the Fox Tribe’s only means of tracking him! 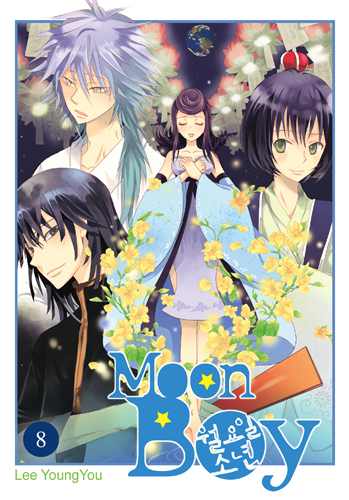 Worried that the tribal elders will discover the truth, student council members Sa-Eun and Jin-Soo split up in a frantic search for their ward…only to find themselves facing off against the most improbable of enemies! After this battle, will the student council ever be the same? When Hee-Ju’s hostage negotiations with Ha-Eun, Yumei, and Mi-Woo for Ya-Ho go south, the tragic result of his failed attempt leads to heartbreak for Myung-Ee and company. And to make it worse, those on Earth aren’t the only ones on the move. The leader of the Moon Foxes is about to make a trip to the Blue Planet and mete out heavenly punishment to those who get in his way…that is, if he can stay awake for long enough! As Ho-Rang tries to stave off the swarms of escaped low level foxes, Myung-Ee grudgingly forms an uneasy alliance with Sa-Eun in order to track down Yu-Da, who has opted to reject both the Rabbits and the Foxes and side with the eerie Ha-Eun. But when the two part ways upon reaching Ha-Eun’s headquarters, they’re both confronted by their pasts instead of their quarry! As Sa-Eun discovers the truth behind his elder brother’s fate, Myung-Ee begins to lapse into her memories from a past life! And what she remembers will shift alliances and alter the fates of everyone involved!